Celebrating your 5th wedding anniversary? 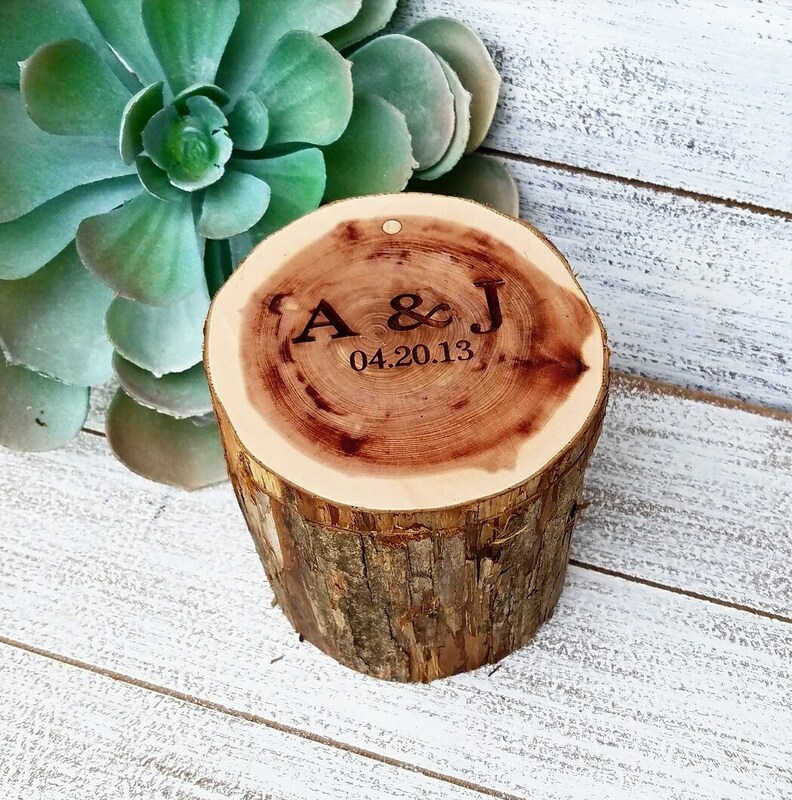 Our beautiful wooden wedding ring holder box will be a beautiful gift for your beloved wife. 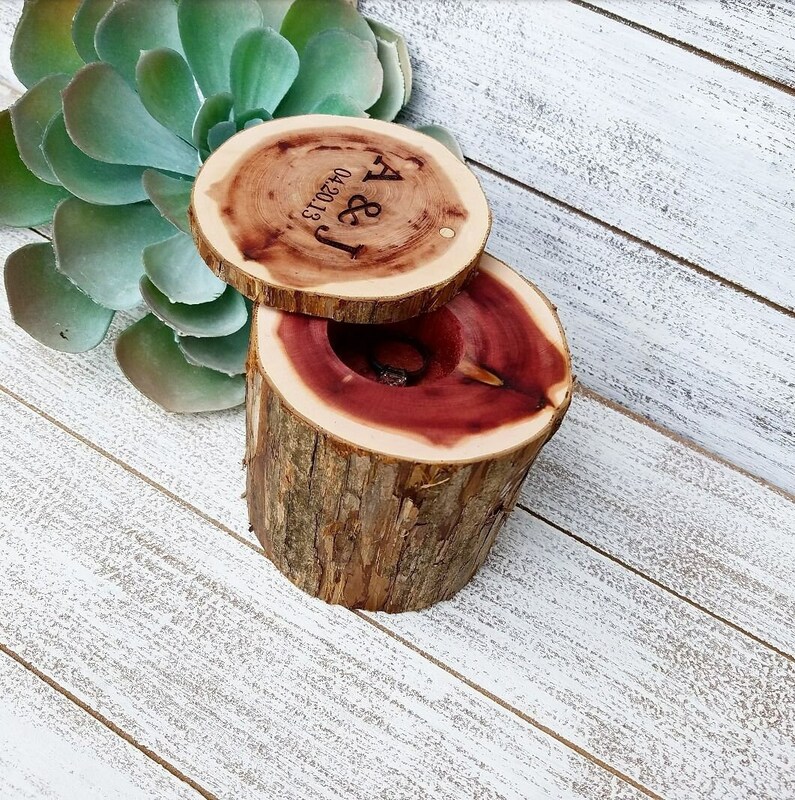 Made from tree branches from the beautiful aromatic eastern cedar tree, this box will make a great keepsake. She can keep her wedding ring safe while washing dishes, taking a bath or any time she needs to take it off for a few minutes. 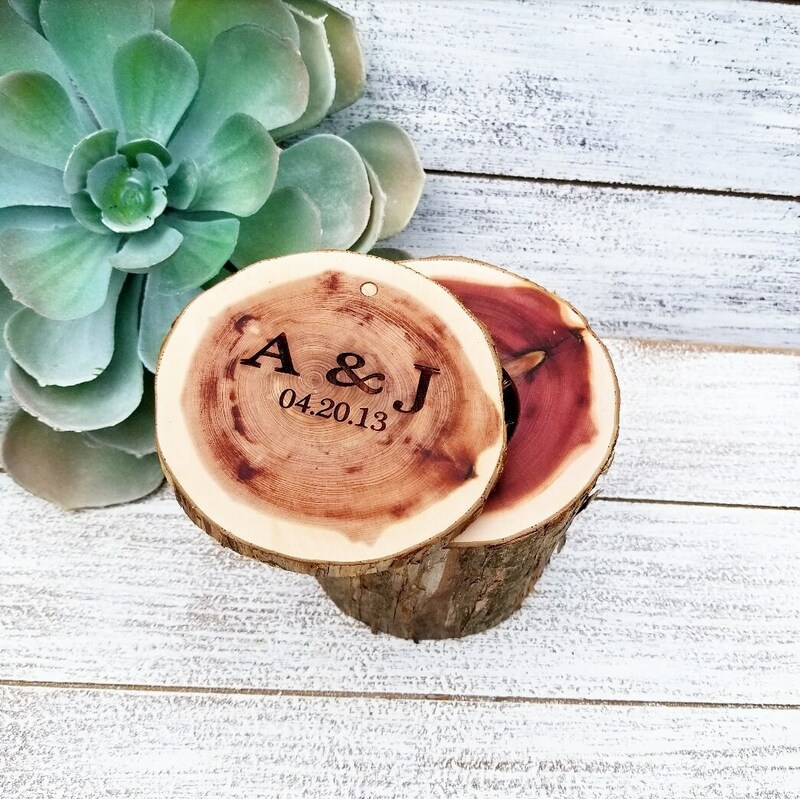 Want it personalized with a special message on the bottom? No problem just choose the option at checkout.